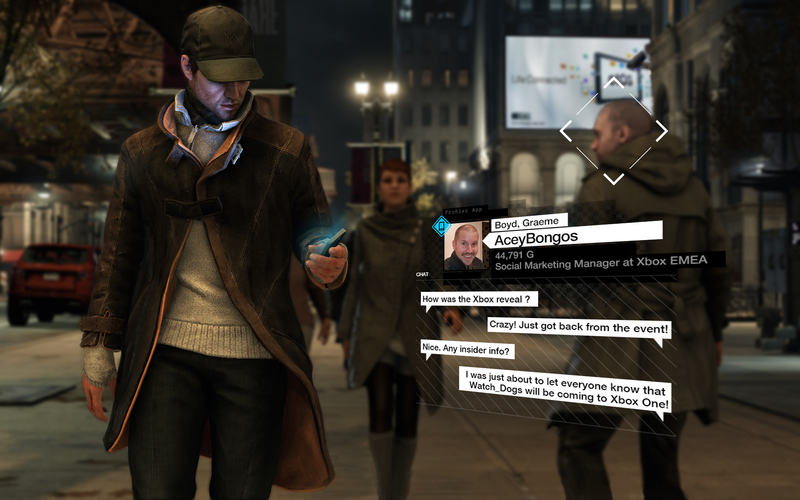 Aiden Pearce used to hack banks for money. However, his last heist didn’t end so well, causing Aiden to flee the scene, fearing that he and his partner would be caught. Knowing that leaving the heist would cause trouble, Aiden tries to protect his sister and her two children by leaving town. During this road trip however, Aiden gets a hit put on him, and one of the hit-men shoots Aiden’s tires out, causing a deadly car crash that kills Aiden’s niece, Lena. Since that day, Aiden has vowed to use his hacking skills for justice. He also wants revenge by finding the man who put out the hit on him. 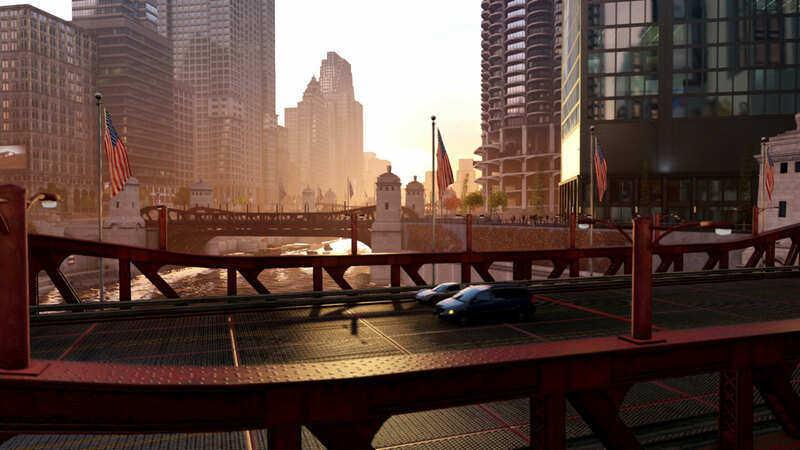 Anybody who is familiar with Chicago will notice that the game creates a nearly perfect replica of it. 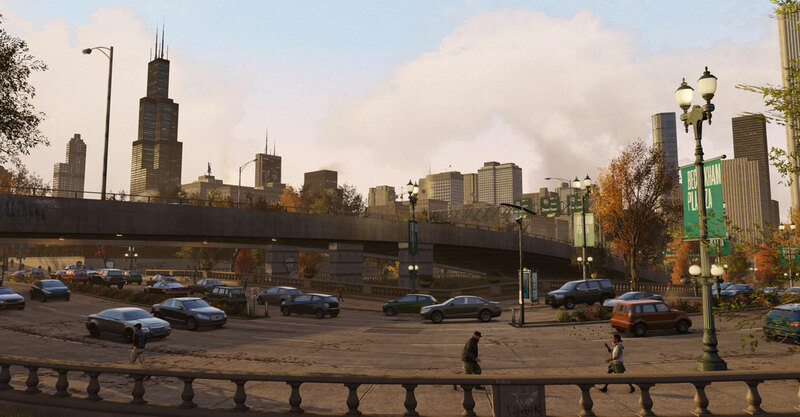 All of the detail of the buildings, people, cars, even the ground and foliage give the game a very realistic feel. There are many different models of the citizens that roam Chicago, so you will rarely run into identical people. The game is also full of life and activity as well. 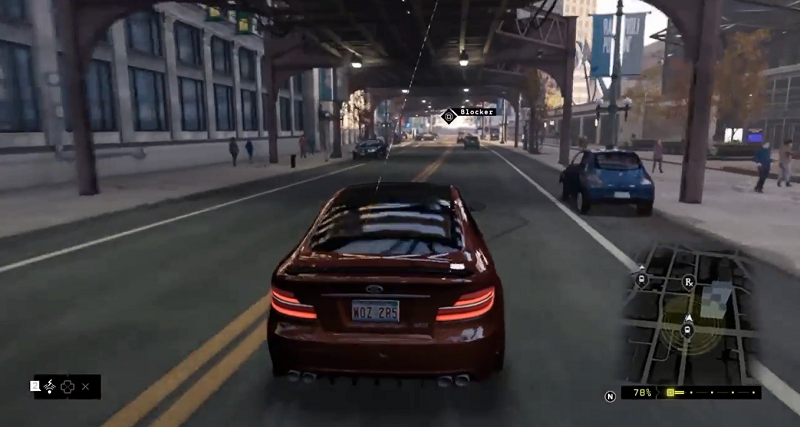 Just by walking down any block in the city, players will see other characters talking with each other, arguing, getting into car accidents, fighting, and many other activities, giving the game a more life-like feel. The main focus of the game is the hacking aspect, and it is a very simple yet entertaining feature of the game. 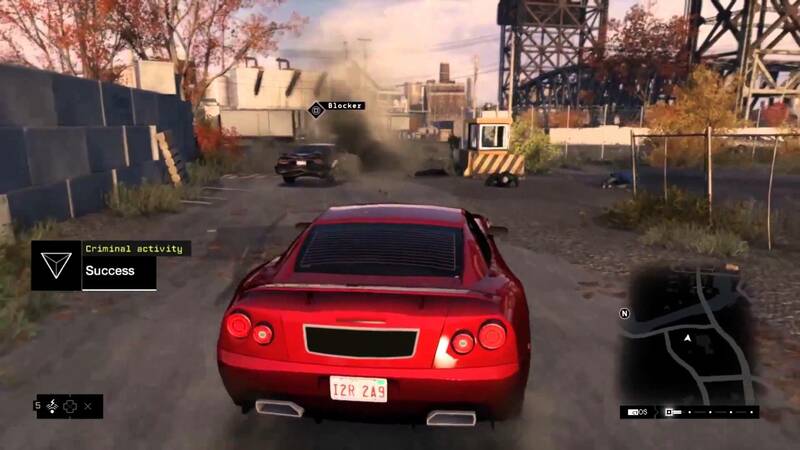 Players will use this feature to hack cameras to find important people or items without being noticed, turn on traffic lights at an intersection to create a massive car crash for a quick getaway, even trigger explosives on certain enemies for a gruesome unnoticeable kill. Aiden can also use his phone to listen in on suspicious phone conversations to locate potential crimes being committed. 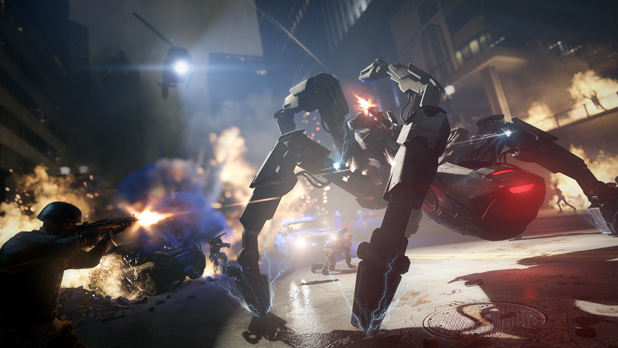 One of the best features is being able to blackout the entire city for a quick escape from enemies and police. Most of the missions in the game revolve around the stealth aspect, using your hacking skills to distract enemies then allowing you to take them down silently. 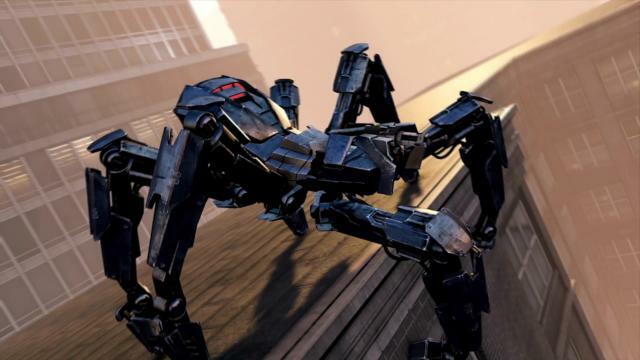 There are few missions where you can go all-out guns blazing without getting over-powered with 20 enemies firing at you. You have the option in every mission to do that, but it isn’t the smartest choice. Very rarely are the assault rifles and shot guns used, most of the time the silenced pistol is my weapon of choice. 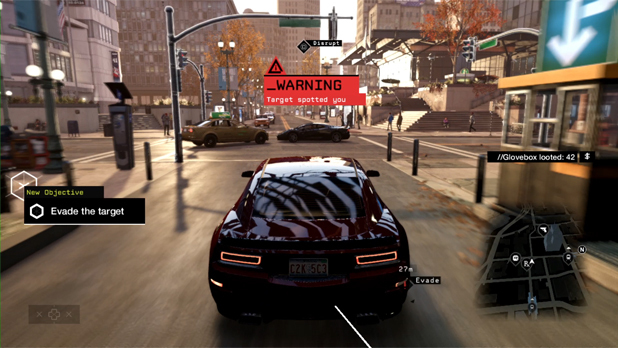 The game includes a leveling-up system where you can improve your hacking, combat, driving, and crafting skills. 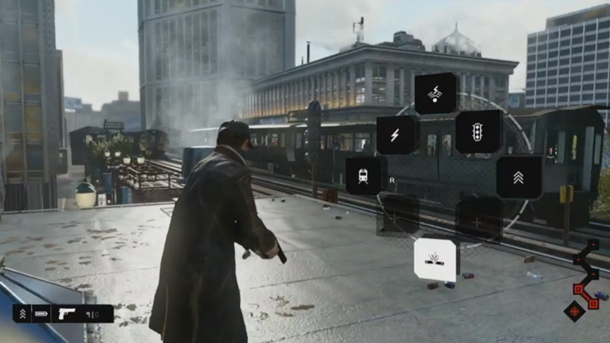 Players are given an arsenal of different types of pistols, shotguns, snipers, and assault rifles. Driving is fun as well, especially the car chases. Using the hacking skill to destroy cars by making barriers pop up, tire spikes, even exploding steam pipes never gets old. Each skill is unlocked using skill points and skill points are earned each time Aiden levels up. 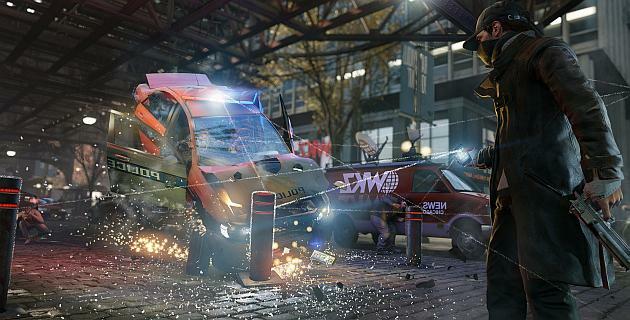 Multiplayer is another great aspect of Watch Dogs. Players are kept online at all times (unless they choose to turn it off), and are vulnerable to being invaded by other players. When invaded, the player must use his or her phone to profile everyone in the area to search for the invader. Once the invader is found, he or she must be killed. You also have the option to be the invader as well. When you are the invader, you must remain hidden until the data you are uploading from your enemy is complete, and then you may escape the scene. 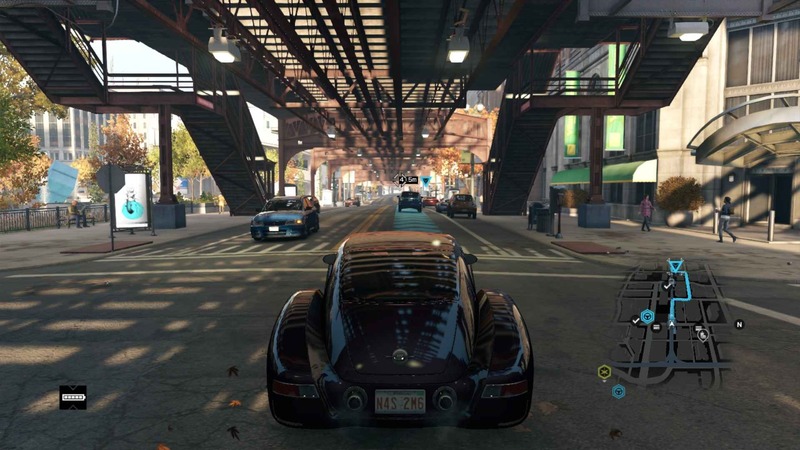 There are other online modes as well such as online racing, free roaming with friends, and Online Decryption, where multiple players will fight for a single file that must be obtained. There are also many mini games and side missions that will increase your skills or give you special weapons. Some of these mini games include: chess, drinking games, and obstacle courses called Cash Runs. 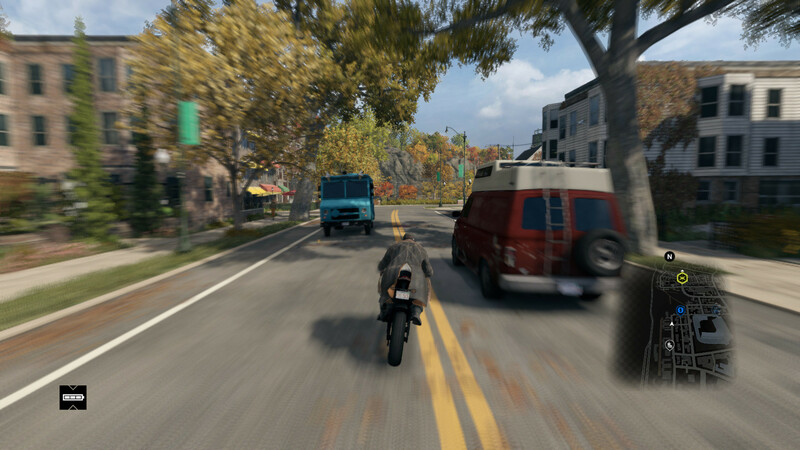 Side missions include: Gang hideouts and Criminal Convoys, where you take out a leader without being noticed by other gang members, and Fixer Contracts, where you must deliver a car in a certain time frame with minimal damage. 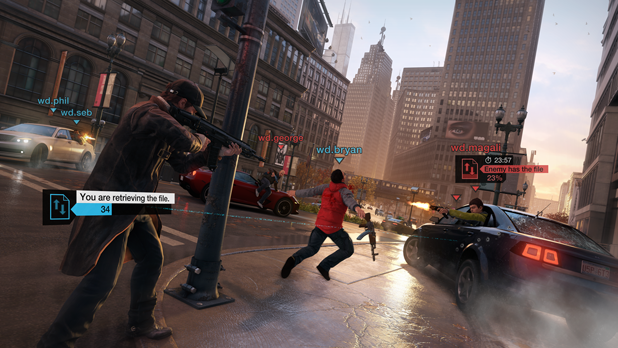 Watch Dogs offers so much content, leaving gamers occupied for hours. 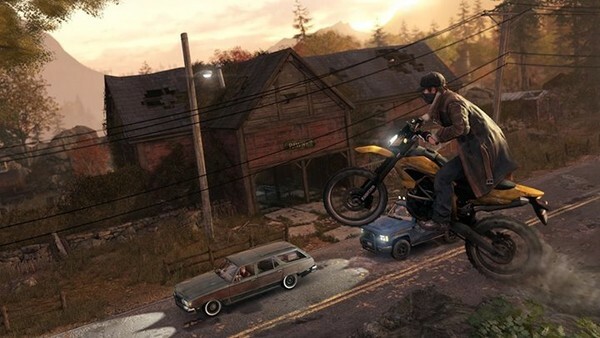 With side missions, multiplayer modes, collectables, and new weapons and vehicles to obtain, it will be hard for players to be focused solely on the main missions. 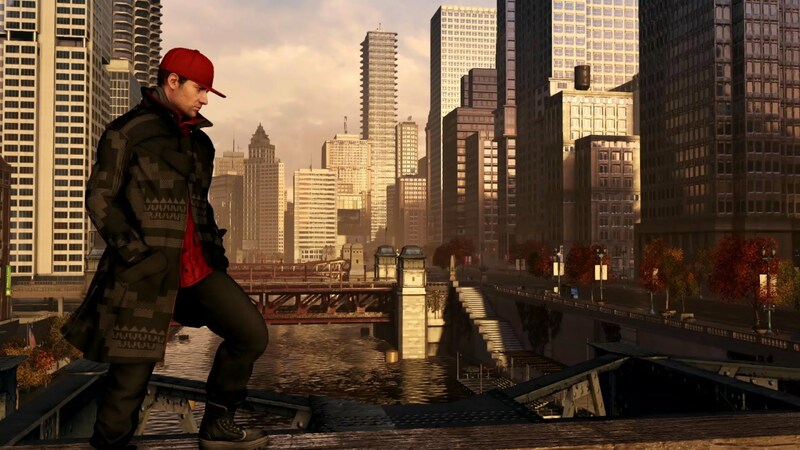 If you are looking for a game in which you can personalize your style of playing in an open world, then Watch Dogs is just what you’re looking for.